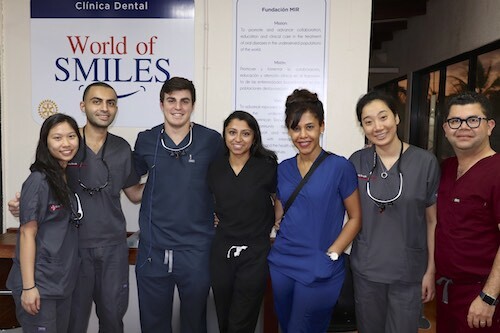 In collaboration with non-profit World of Smiles, Stony Brook School of Dental Medicine returned to La Romana to provide free oral health care services to students of Fundación Mission International Rescue. 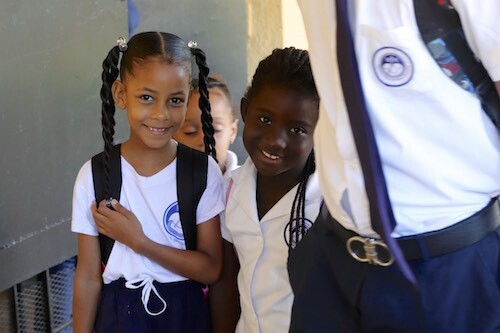 November 2018 - Nearly 300 patients, primarily children from the schools of Fundación Mission International Rescue (MIR) and related orphanages, were provided with comprehensive dental care during a week-long outreach mission in La Romana, a poverty-stricken area of the Dominican Republic. 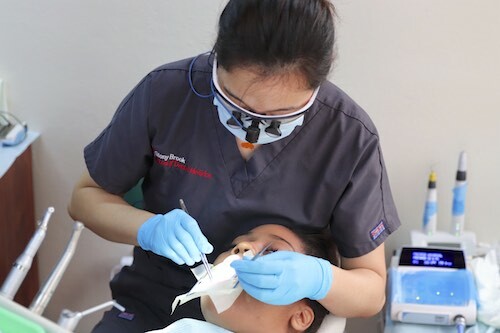 The clinic, established by World of Smiles Inc., is a six-chair dental clinic located on the site of Fundación MIR. 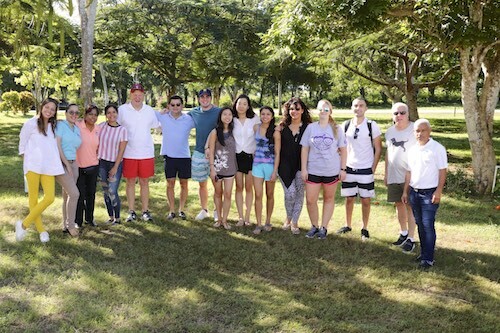 The mission marked Stony Brook School of Dental Medicine’s second visit to the area with five of its students selected to participate. 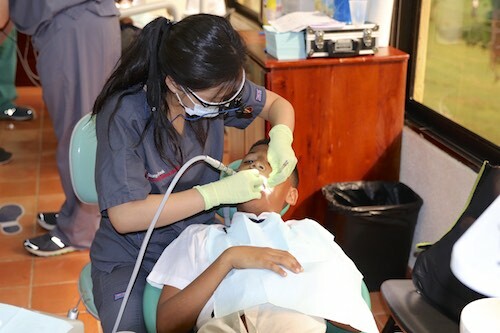 Each student performed numerous screenings and various procedures, ranging from the application of fluoride preventive agents to the extraction of non-restorable teeth. 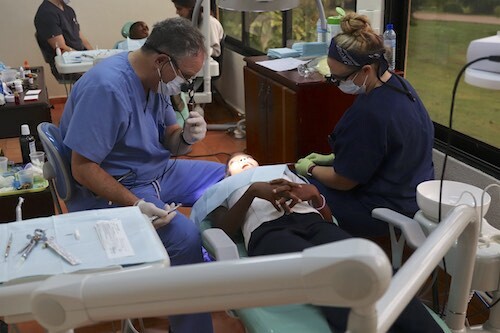 “I want to specialize in pediatric dentistry, and this mission allowed me to treat children at the school while gaining crucial experience with operative procedures,” said student Lauren Heisinger. 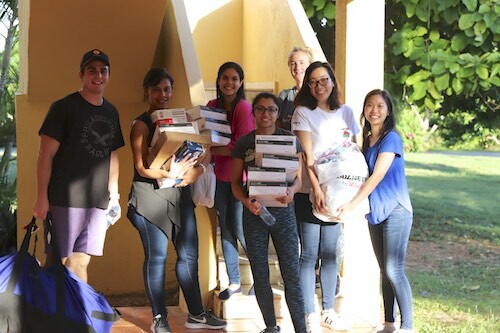 Stony Brook School of Dental Medicine’s next outreach mission to the Dominican Republic is tentatively scheduled for the fall of 2019. 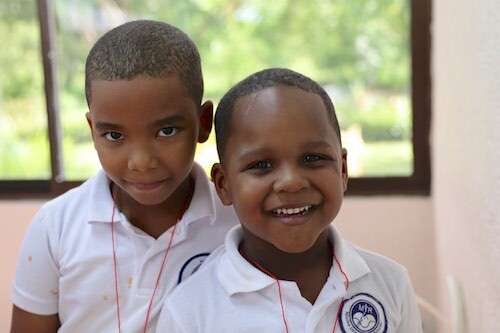 Photos courtesy of Dr. James Hudson, Chairman, World of Smiles Inc.